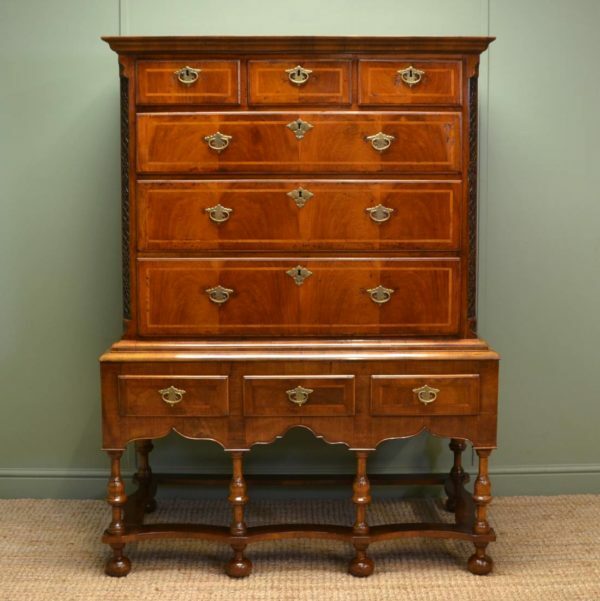 Antique Chest on Stands came in two forms, as a chest but also as a Cabinet on Stand. 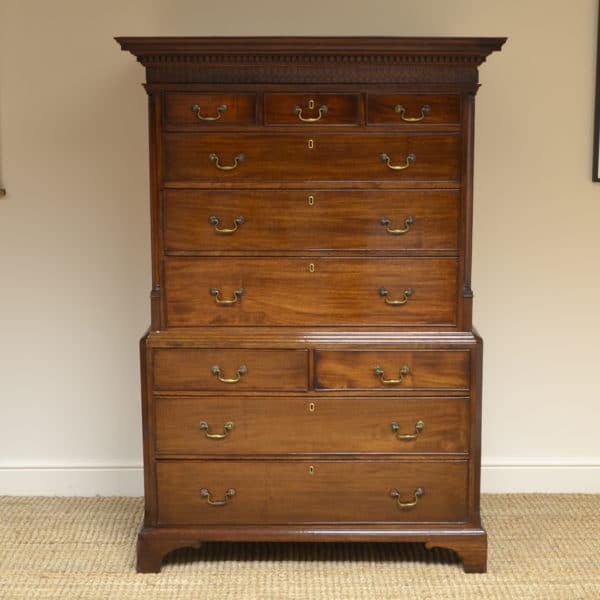 During the mid 17th Century a new form of writing furniture was made with its own base support and Instead of a sloping lift up lid, it had a fall front concealing drawers and pigeon holes, which opened to form a writing surface supported on cords at either side. The exterior usually had very good figured veneering with oyster veneers or walnut or with floral marquetry. The legs of the stand were usually baluster, spiral turned or cabriole legs. 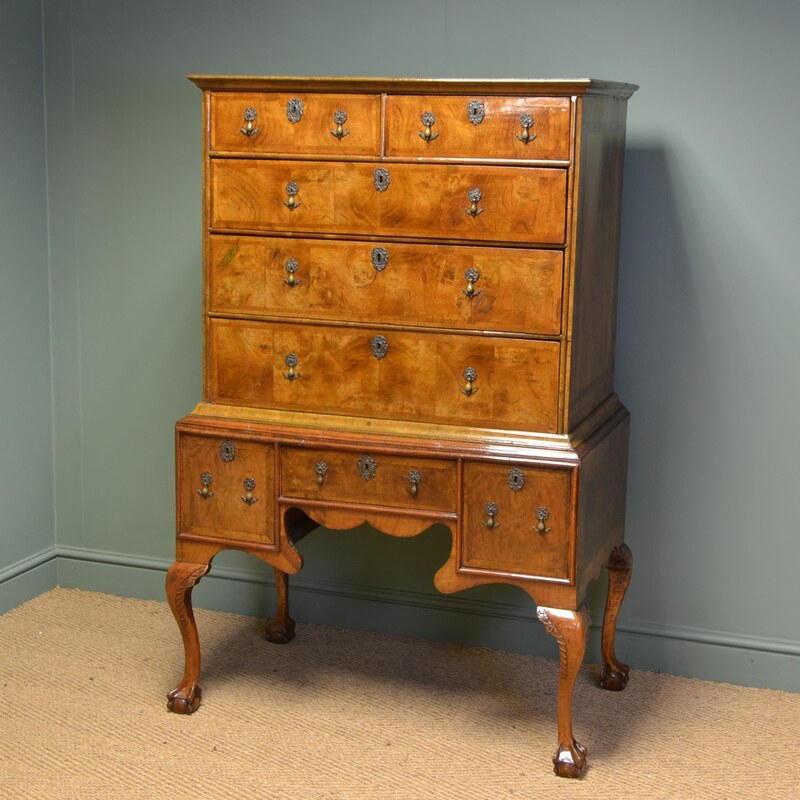 This design was copied by English Cabinet makers but adding a chest of drawers onto the stand, making a very useful but decorative piece of furniture with lots of storage. 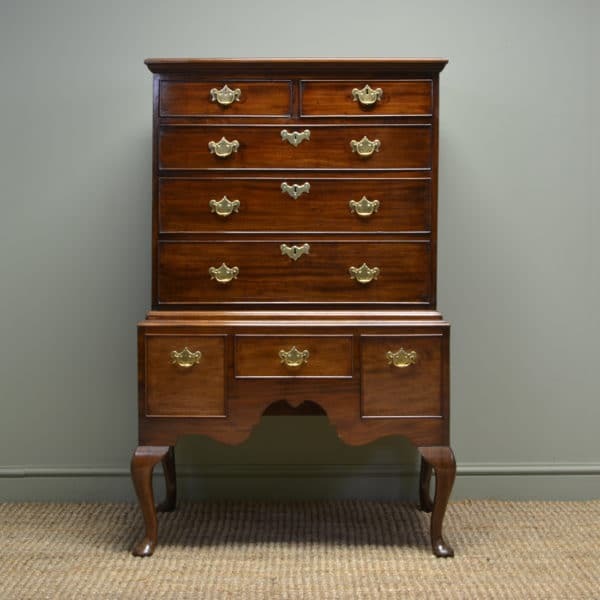 This form of chest was extremely popular throughout the 18th Century, they always had quality decorative brass handles and key escutcheons, especially on the highly figured pieces. Have a look below at our lovely examples available for sale. below are a few examples that we have sold, let us know if any particular style is what you are looking for and we can try to find something similar. 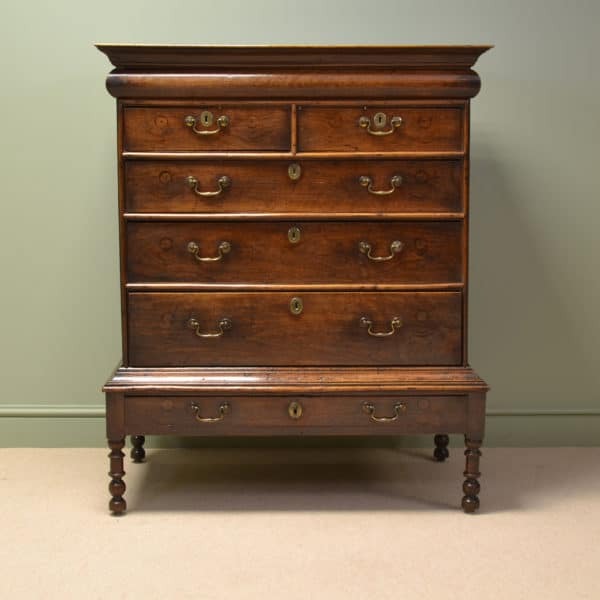 Early Georgian Walnut Antique Chest on Stand. 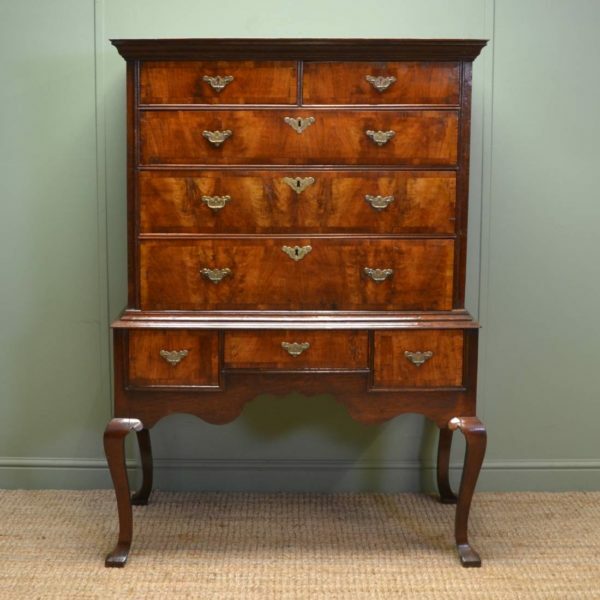 This George I walnut antique chest on stand dates from around 1720 and oozes a sense of history. The rectangular top has cross banded detailing and a moulded edge creating a cornice over the body of the chest. 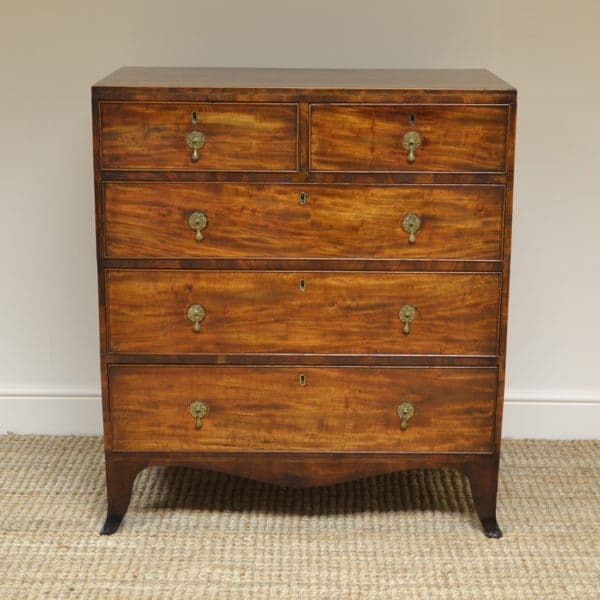 Three oak lined drawers, all with pierced brass handles, sit above a moulded lower edge. Below this can be found a central drawer with two deeper drawers on either side, again these are all oak lined with pierced brass handles. 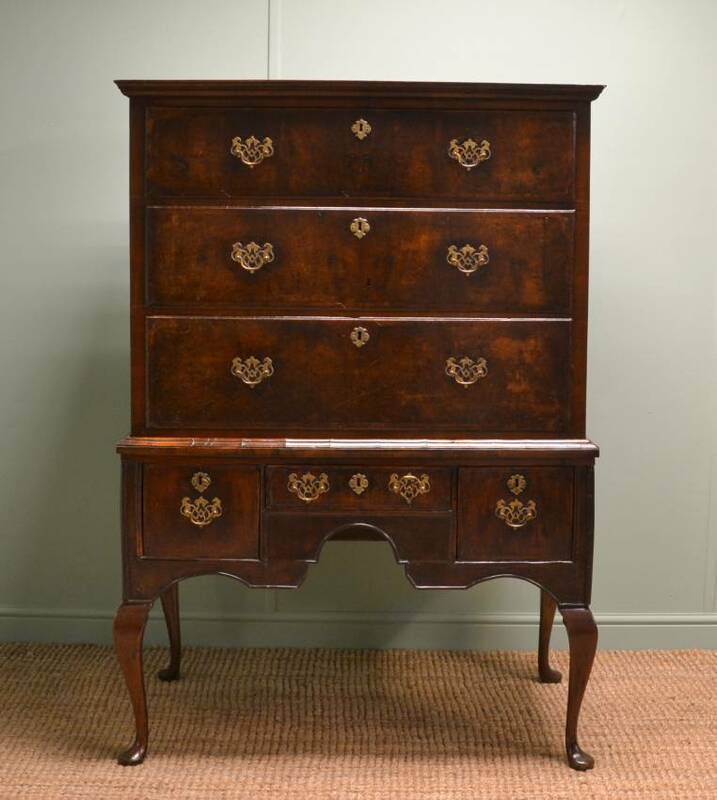 This delightful piece is finished with a shaped apron and cabriole legs. 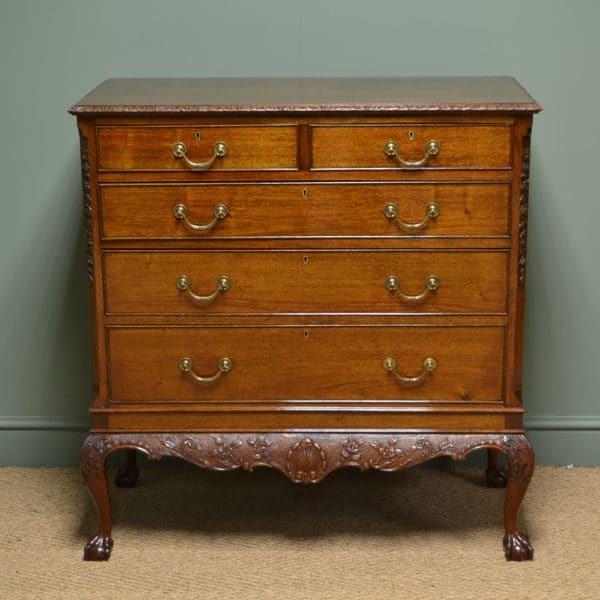 At almost 300 years old it is hardly surprising that this beautiful antique chest on stand has undergone some restoration work during its lifetime. This in no way detracts from its overall splendour but only adds to its charm, character and sense of history. 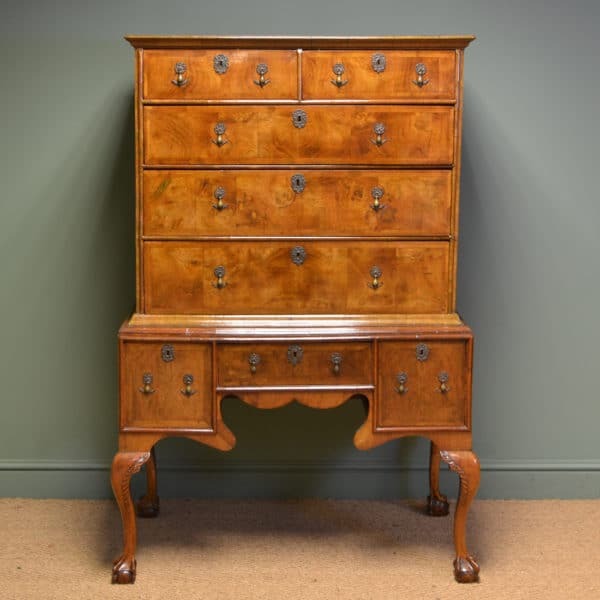 Spectacular Golden Figured Walnut Antique Chest on Stand / Cabinet. 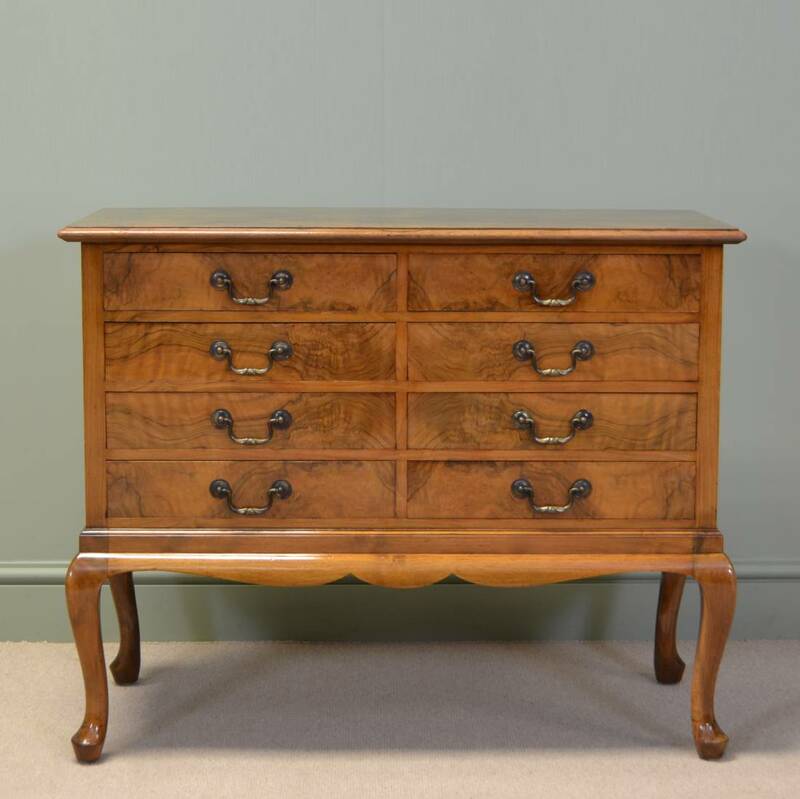 Originally designed as a Music Cabinet, This Spectacular Golden Figured Walnut Antique could now be used as either a chest or cabinet and is extremely versatile and dates from the Art Deco period. 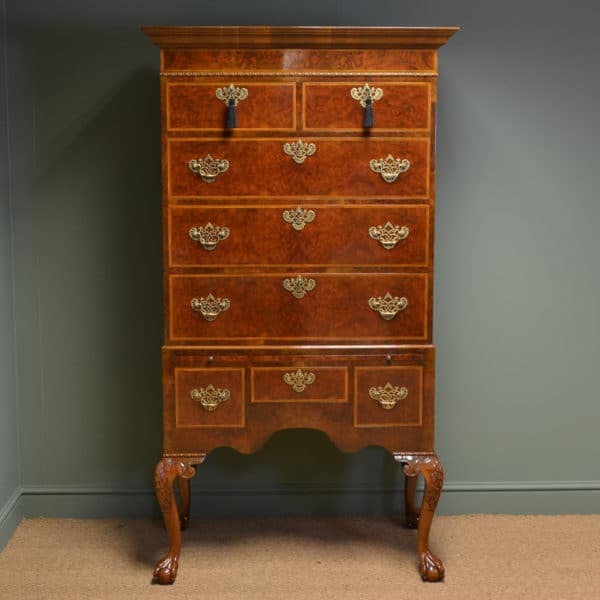 Constructed from the finest quality figured walnut with a quarter veneered mirrored beautifully figured moulded top, above eight beautifully figured drawers with hinged drop down fronts, this wonderful piece stands on shaped cabriole legs and the walnut has aged to a rich golden shade. Dear James,Thanks the delivery chaps arrived when you expected they wood. The goods are as indicated. Thank you. Given our service re delivery from other internet based companies of late, yours (and your delivering agent) has been sterling.